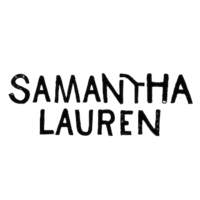 Samantha Lauren Photographie : Photography for Dreamers and Lovers | Welcome 2017!! Happy New Year to all and I hope it was a beautiful holiday season. Our family is lucky to celebrate both Hanukkah and Christmas and it just so happened that the first night of Hanukkah fell on Christmas Eve this year! Truly a blended holiday! Every year I share a few outtakes from our personal archive of photos taken with you all. We are so lucky to live so close to our families and to have strong relationships with them. I believe in strong familial ties and documenting those moments, even if they’re on a point-and-shoot or an iPhone ;). Even I forget to take pictures of everything I want to document and this is my business! I do have to say that one of my favorite parts of the holidays is sending out our holiday card which this year came from our first wedding anniversary photoshoot with Forged In The North! I used Minted again this year and they never fail to nail it every time! Wishing everyone Health, Peace, Love and Success in the New Year.